One of the great cloud services I use regularly is If This Then That. Basically it allows you to create ‘recipes’ that automate functions between web apps. 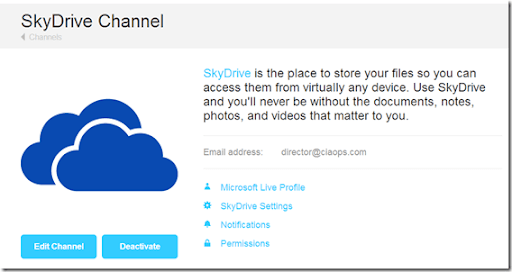 They have just added a ‘channel’ for SkyDrive! Here are some examples of what others have created. You can copy these or create your own. Remember If This Then That has a huge amount of other channels that you can do all sorts of automated process with. Don’t forget my all time favourite ‘recipes’. 1. There is a LOT of confusion around the whole SkyDrive brand now for most people. What is free? What is included? How much can I sync? Bottom line? SkyDrive = free consumer web storage product with 7GB. (http://skydrive.live.com). SkyDrive (App) = a free program to sync SkyDrive (NOT SkyDrive Pro) files locally on a desktop. SkyDrive (Mobile) = free apps to work with files saved on SkyDrive (NOT SkyDrive Pro). 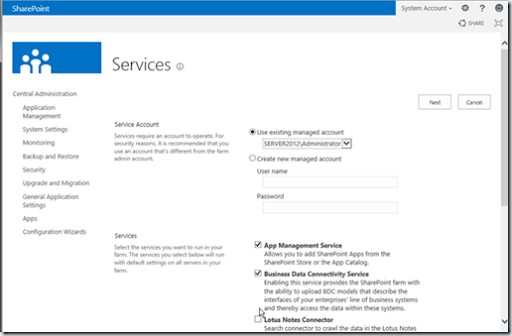 SkyDrive Pro (On premises) = commercial product available as part of SharePoint Server 2013. SkyDrive Pro (App) = local desktop app that comes with Office 2013 that allows syncing of files from SharePoint (Office 365 or on premise) to your desktop. 2. 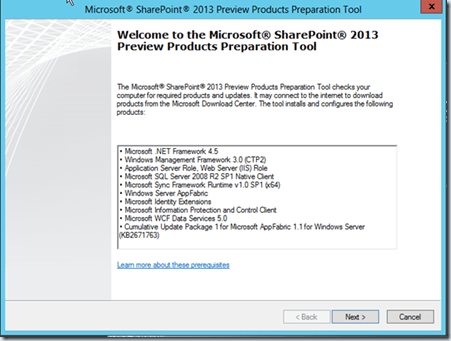 SkyDrive Pro (App) has LESS features than the current SharePoint Workspace 2010. 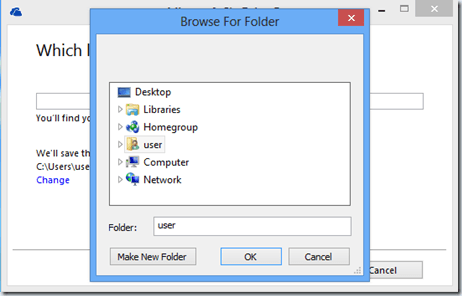 SkyDrive Pro (App) can only sync files, whereas SharePoint Workspace 2010 could do other SharePoint elements like lists. 3. SkyDrive Pro (Office 365) will have 7GB of storage! Wow, that is a huge increase from the current 500MB per user in the their my sites. Now, here’s a question, the current Office 365 P Plan SharePoint offering doesn’t offer My Sites so what will happen with the new Office 365 P Plans? Not much word there either, we’ll have to wait and see whether SkyDrive Pro is available in the new Office 365 P plans. If it isn’t available you’ll still be able to use the SkyDrive Pro (App) that comes with Office 2013 to sync other SharePoint libraries. So you won’t have SkyDrive Pro (Office 365) but you’ll have SkyDrive Pro (App) with Office 365 P plans. Confused yet? Again, naming everything SkyDrive was not a good idea in my books. 4. 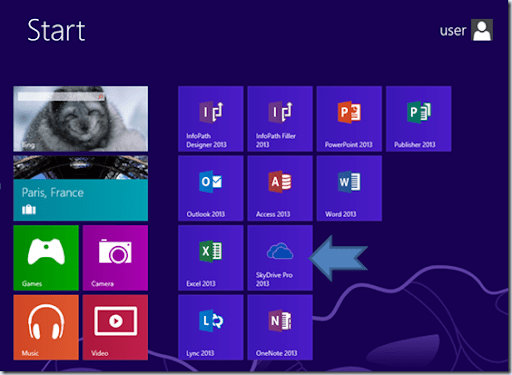 The article in the link above seems to indicate that to get SkyDrive Pro all you need is Office 2013 or Office 365. Office 2013, yep agree, but in my testing from the current beta version of Office 365 when you click on the SYNC option on a SharePoint page you receive an error unless SkyDrive Pro (App) (or SharePoint Workspace 2010) is installed. This means that SkyDrive Pro (App) isn’t available directly from Office 365, it is in fact only available via Office 2013. Now this could obviously change when the next version of Office 365 is released and as I said previously it makes a lot of sense to make the SkyDrive Pro (App) freely available. However, that is currently not the case from what I see and is only available when you install Office 2013. I also wonder whether SkyDrive Pro (App) will be available in ALL versions of Office 2013 or only the Professional Plus edition? What about Office for MAC? 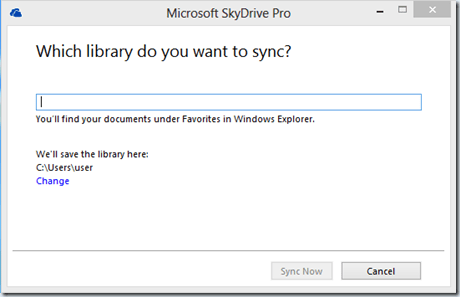 Will there be an option for SkyDrive Pro (App) to suits MACs? 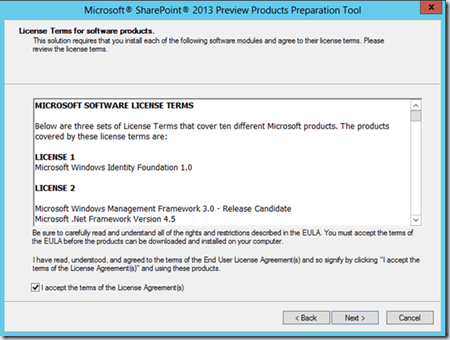 There is one for the plain consumer SkyDrive but what about with Office 365 and SharePoint 2013? If you consider that Office for MAC will be available as part of many Office 365 plans you would of kind of think so but then how do you get it as they way I understand it there is not a new version of Office for MAC. That seems to point towards either a free SkyDrive Pro (App) or no app at all for MACs. Don’t get me wrong, SkyDrive in all flavours (consumer, Pro, App, Mobile) is fantastic and I use it everyday and in a few months we’ll all being using these products without thinking BUT at the moment it is very confusing I reckon! 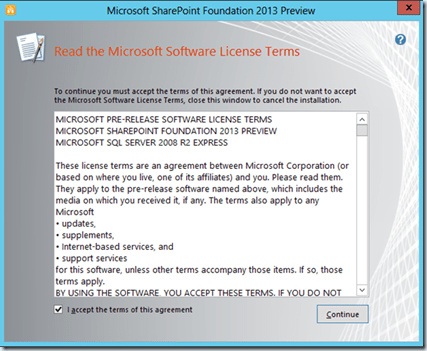 that, amongst other things, SharePoint Foundation 2013 is not supported on a stand alone workgroup (non domain joined) server. Now just because it isn’t supported doesn’t mean that it can’t be done. Well almost. Here’s what I’ve worked out so far to get it almost all the way. 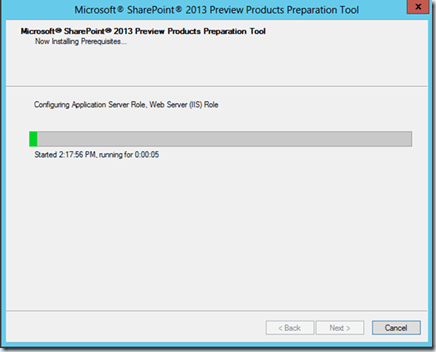 I did the following on a Server 2012 that was not domain joined, i.e. only in a workgroup. You’ll also need a version of SQL 2008 or better installed before hand. So you start the install and get the splash screen above. 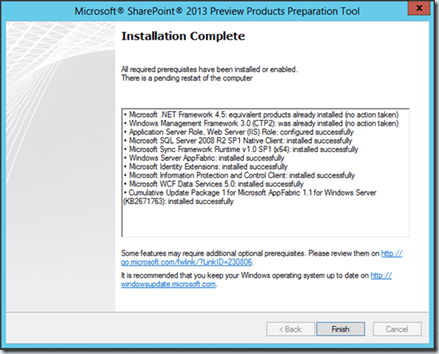 Select the option to install the pre-requisites. Next you’ll get information about what will be installed. Press Next to continue. The required software will be downloaded and installed. When that is all complete you’ll get a summary and when you press Next the server will be automatically rebooted. After you log back in the installation will continue installed some more software. When complete you’ll see the above message. 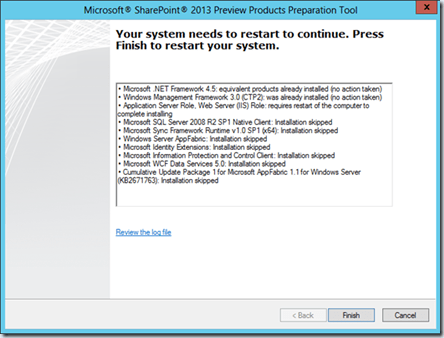 Best bet here is to do another reboot to ensure all the installations are complete. When the reboot is complete re-run the installer and you will see the splash screen again. This time select the option to Install SharePoint Foundation. Accept the terms again and press Continue. Select the Complete option and the Install Now button. You’ll need to wait while more software is installed. 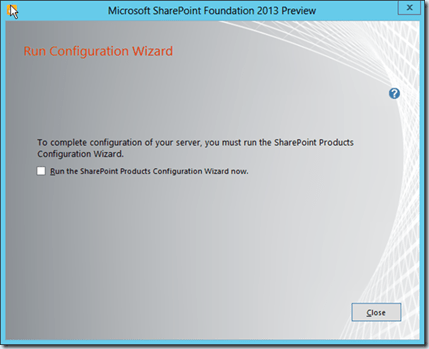 When complete uncheck the option to Run the SharePoint Products Configuration Wizard now and press Close. 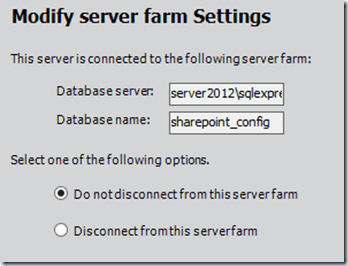 Enter the details for your configuration database name, database server, farm credentials and finally a farm passphrase (and don’t forget this!). This process will now create the configuration database for you and may take several minutes to complete. When the PowerShell command has completed locate and run the SharePoint Configuration Wizard. Select the option to not disconnect from the server farm. 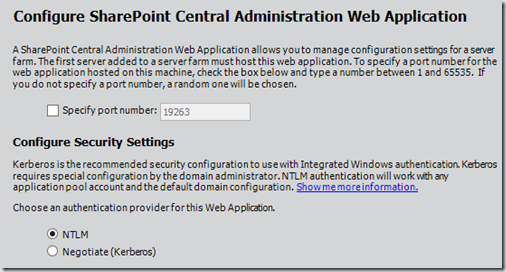 Set the Central Administration Web details to what you require. The configuration wizard will complete. 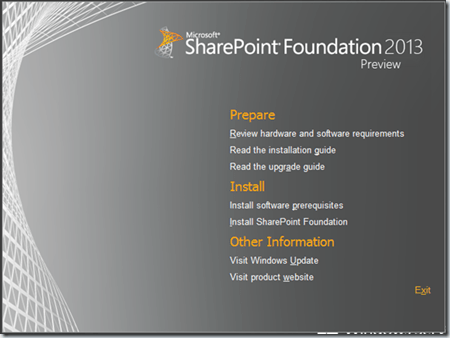 You should now get to the point of seeing the SharePoint 2013 Central Administration site. 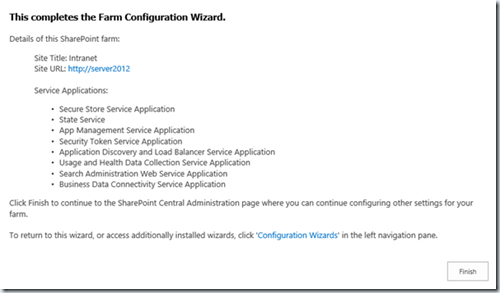 although not generally a good idea select the option to Run the Wizard to attempt to configure everything. Select the Service Account (here I used the administrator which is not best security practices). If you scroll down you’ll see all the option checked except for the Lotus Notes Connector. Continue. 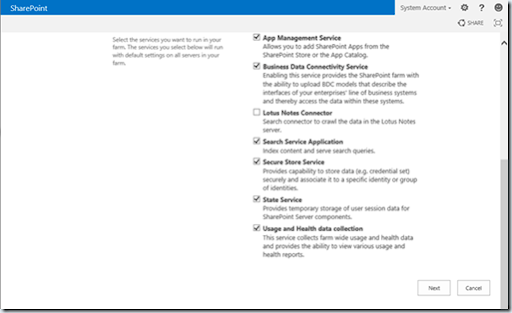 Here’s where I get the error with the Search Service Application. Press Next to continue anyway. Problem is the search service won’t be running which obviously has something to do with that error mentioned previously. 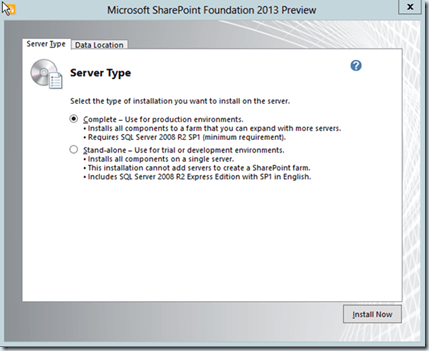 Apart from that you should have a a SharePoint Foundation 2013 site running on a stand alone server. Neat. Again, remember that is NOT a supported configuration. I’m sure I can find a solution to the error given some time so watch out for a future update on the topic. if you haven’t seen my previous post (Skydrive Pro Primer) then I suggest you have a look so you know what I have discovered so far. 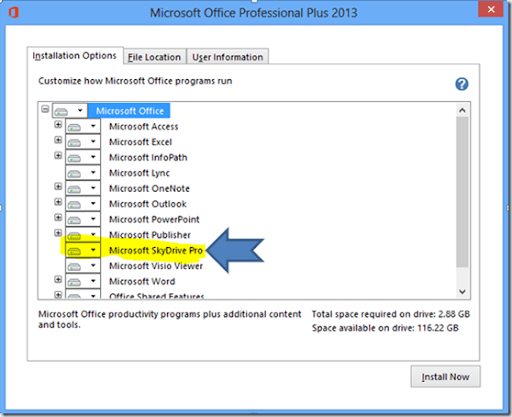 As previously suspected, SkyDrive Pro is part of Office 2013. Now if I look at my desktop I see a SkyDrive Pro 2013 icon. 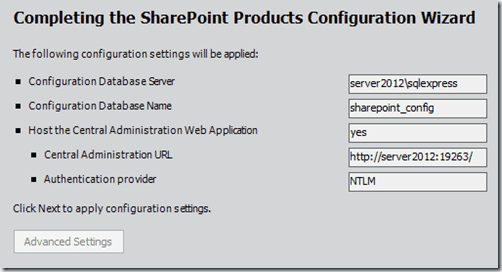 Selecting the icon bring up the above window that asks which SharePoint Library I want to sync. If I select the change button I can now select a new location on my local machine where the library will be sync’ed. This video is walk through of all the options found in the Office 365 web console for the Small Business and Professionals (P) plan. 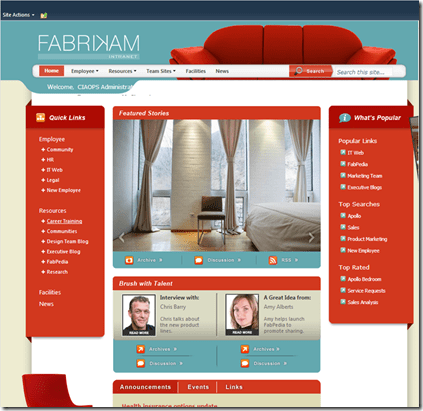 It also shows show to create a user and the differences between an administrator console and that experienced by an ordinary user. <img src="http://lh5.ggpht.com/-WgNprxiJst8/UOUicNOnZwI/AAAAAAAAGwc/Qfd-lLeJ-Bo/videocd2235cfab92%25255B4%25255D.jpg?imgmax=800" style="border-style: none" galleryimg="no" onload="var downlevelDiv = document.getElementById('2494802a-2b02-4cff-8e92-269c0c741c5a'); downlevelDiv.innerHTML = "
Look out for a tour of the E plan console coming soon. 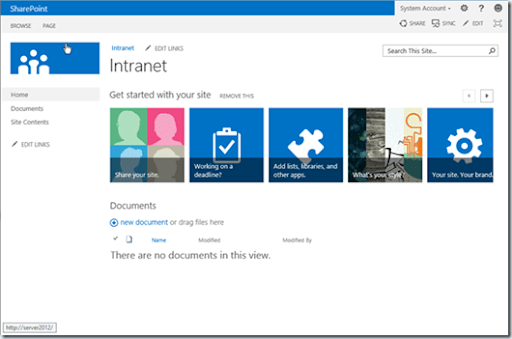 One of the biggest challenges many people have when they start building out their SharePoint site is exactly where is the space being consumed? 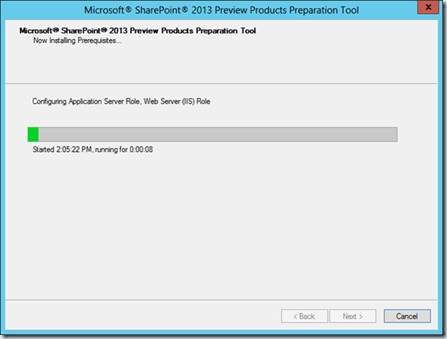 It has been tricky to obtain this easily with most instances of SharePoint but now with SharePoint Online via Office 365 there is a simple solution. First visit the top level site you wish to examine. 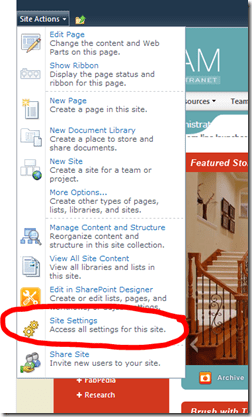 Select Site Actions and then Site Settings from the menu that appears. 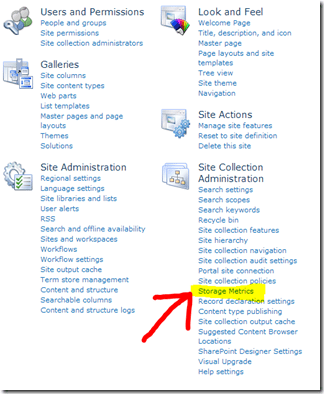 Select Storage Metrics from under Site Collection Administration. 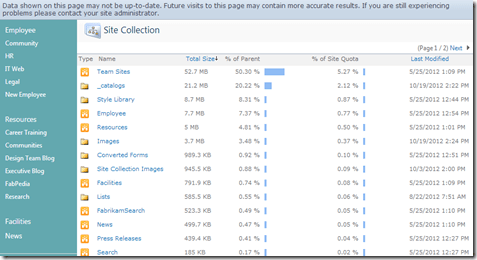 You should then see an ordered list of the various SharePoint elements arranged by size. You can drill into any of the elements to reveal further detail. 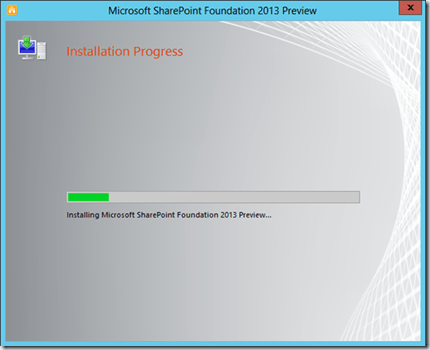 Hopefully that should help identify where the space is being consumed with SharePoint Online. 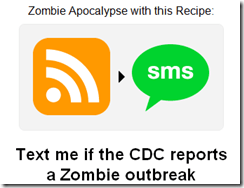 Noticed that I hadn’t done a video for setting alerts in SharePoint 2010 so I did one. <img src="http://lh4.ggpht.com/-MySiSGuI5t0/UOUhZRmlXDI/AAAAAAAAGwQ/JTaspzyu8-Q/videofb41436c4e80.jpg?imgmax=800" style="border-style: none" galleryimg="no" onload="var downlevelDiv = document.getElementById('d58428fe-7f0f-4be2-93e2-79b2e70f3e4a'); downlevelDiv.innerHTML = "
<img src="http://lh4.ggpht.com/-pfsMvnVtErM/UOUhIQ_R_hI/AAAAAAAAGwI/baFcYo_GbK8/video9c5d2f17027e.jpg?imgmax=800" style="border-style: none" galleryimg="no" onload="var downlevelDiv = document.getElementById('94d87e55-27d8-4ac5-b5d6-b9391af2816d'); downlevelDiv.innerHTML = "
This video will take you through the steps of connecting to Office 365 with Powershell as well as some basic commands you can run.